Nishimura & Asahi (Thailand) Co., Ltd.
*At the 16th floor elevator hall, please turn left and you will find our office at the end of the hall on the left-hand side. 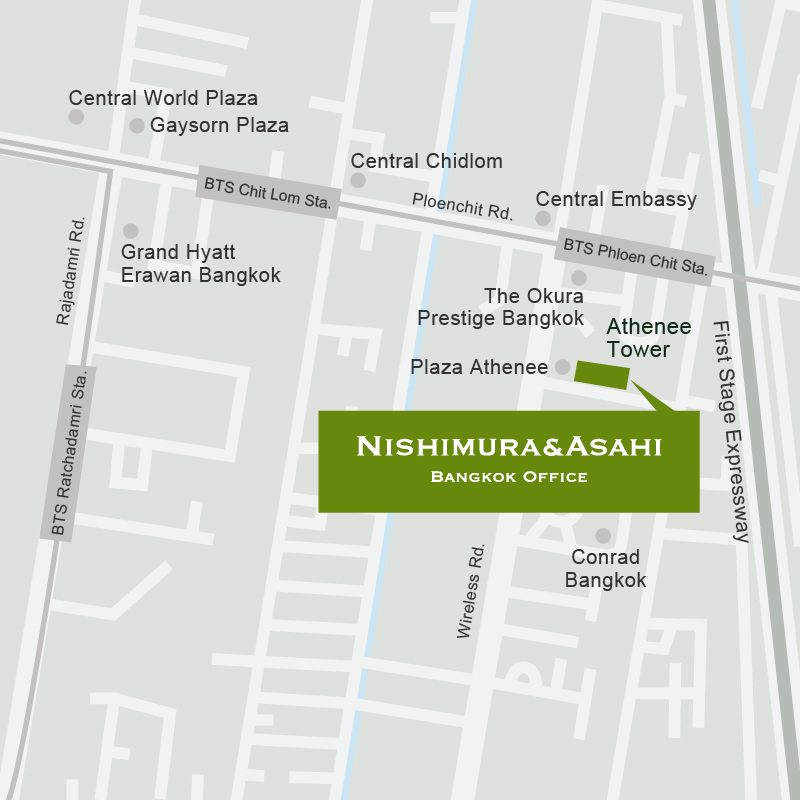 Our Bangkok Office was established in July, 2013. We make every endeavor to offer the latest legal services to our clients, with lawyers who have a wealth of experience and great expertise in handling cases related to Thailand. Also, in cooperation with our Tokyo Office, other overseas offices, and local law firms in Thailand with whom we have developed close networks, we comprehensively provide legal services to Japanese clients who are dealing with market entry into Thailand and other countries in the East Asian region, and who may have troubles after such market entry, based on legal and cultural differences.